Today marks the beginning of a new month, but also of a new challenge I am taking on! I am too much a creature of habit and when I try something and I like it, it's not often I vary. 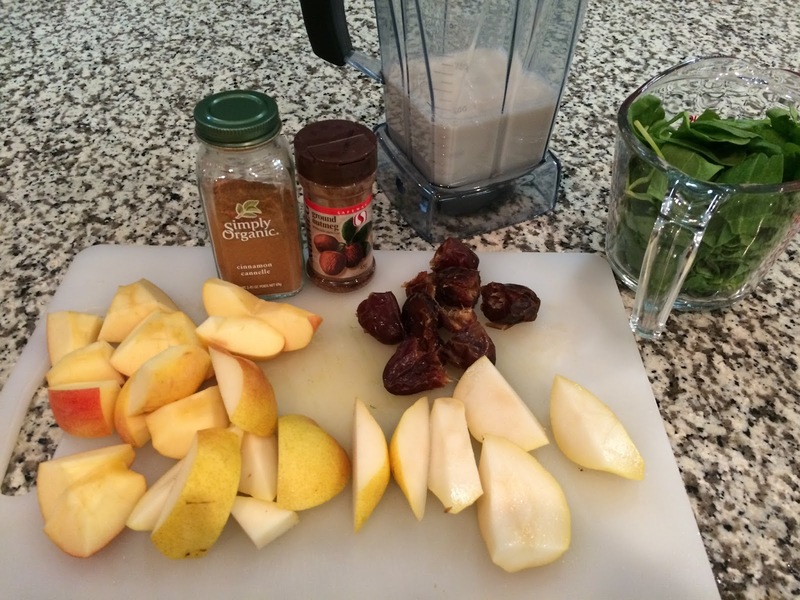 But one area that I wanted to 'experiment' with a bit, was with smoothies! 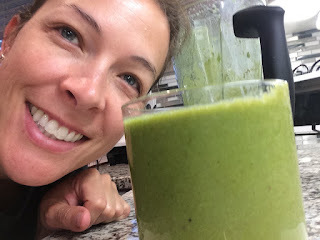 When Simple Green Smoothies talked about a 30-day smoothie challenge with all the recipes, I decided to give it a try. Today's smoothie was "Dan's Famous Apple Pie". I happened to have a couple of very ripe pears, so I subbed in two pears for two out of the three apples. I also didn't pay enough attention when I was buying my last carton of almond milk, as I bought the sweetened kind. So you can probably guess that my smoothie was pretty good -- sweeter than it should have been. 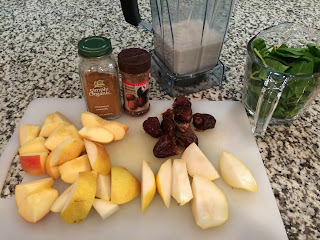 I love cinnamon and apples, so of course I loved this smoothie. Definitely a do-again! I am going to personally rate these smoothies so that at the end of the month I can pull together my fave's and they can become my new go-to smoothies.